You have been charged with a DWI, again, and now you are facing serious consequences. When charged with multiple DWI charges, there is a possibility of losing your license and a certainty that it will affect your life. You need an attorney who knows how embarrassing this can be and is there to help you. You have an idea about the severity of these charges, but now you need to know what happens when you are convicted more than once. How long will you be without a license? How will this impact your life, your family? What kind of resolution will you be able to find? If you are charged with a DWI in New York State, and you have a prior conviction for driving while intoxicated in the last 10 years, you will be charged with a felony. Ten years is the cut-off point in determining whether the case will remain a misdemeanor or a felony. This may or may not be relieving news for you. If you have a prior driving while impaired conviction within five years, penalties are increased. 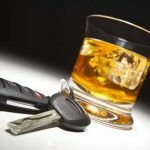 If you have three driving while impaired convictions within 10 years, what is normally a non-criminal infraction is elevated to a misdemeanor conviction. Remember, two driving while intoxicated convictions in 10 years is a felony. Three driving while impaired convictions in 10 years is a misdemeanor. Experienced criminal defense attorney Arthur Pressman can make this less confusing for you and find you justice for your situation. Being in trusted hands can make this situation easier for you and your family. Does the DMV take any action against Multiple DWI Charges? Recently, the department of motor vehicles has begun the enforcement of persistent drunk drivers. What this means is a person who has multiple DWI convictions or driving while impaired convictions over a certain period runs the risk of having their license revoked for 5 years, 10 years, or a lifetime. Dealing with this reality can bring up many questions about how your lifestyle will be changed. You may be wondering how this will affect your work or how you can provide for yourself and your family. If you have 5 or more alcohol related convictions over the last 25 years, DMV may revoke your license for life. Moreover, if you have several incidences of refusing to take a breath test along with a driving while impaired or driving while intoxicated conviction, the department of motor vehicles may revoke your license for 5 years, 10 years, or a lifetime. Please, be aware while consulting with a lawyer, that you give them all the information regarding previous convictions for driving while intoxicated, driving while impaired, reckless driving, and any time you may have refused to take a breath test. Full cooperation with a lawyer can only be of benefit to you now. If you have been charged with multiple DWI charges, contact experienced Buffalo DWI defense attorney Arthur Pressman. He has over 30 years of experience defending good people caught up in bad situations and stands ready to defend you. Let him be your ticket to justice.